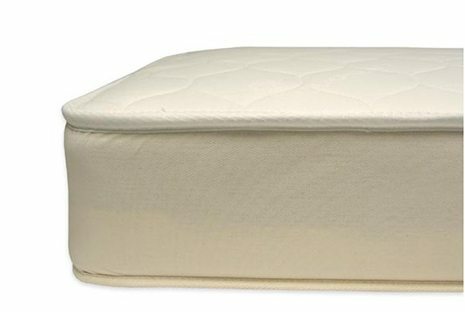 The Naturepedic 2 in 1 Organic Cotton Ultra is a mattress that can keep up with your growing child. 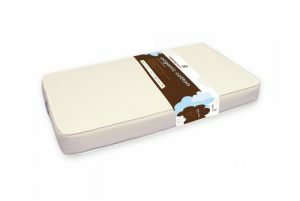 This innerspring mattress features a waterproofed side for kids making the transfer from the crib to a big kid bed. 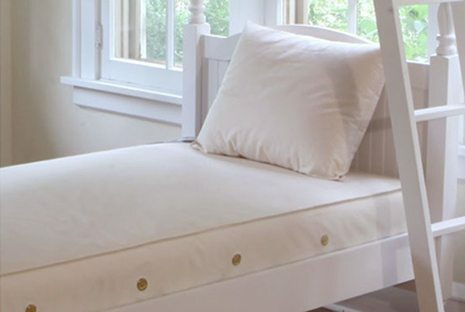 When your child has mastered the big kid bed flip it over for a comfy quilted organic cotton finish. 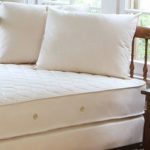 This 2 in 1 mattress combines a waterproofed organic cotton topside with a quilted organic cotton bottom side that allows you to change your kids mattress with a simple flip. 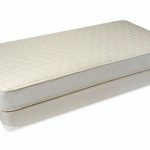 The top and sides features organic cotton treated with an easy to clean, food grade, polyethylene waterproof protection. 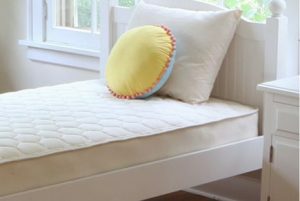 The result is a non-toxic, stain resistant, waterproof surface which also functions as a dust mite and bed bug barrier. 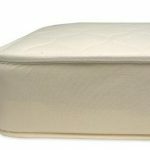 The bottom side features a quilted organic cotton finish for a more luxurious feel. 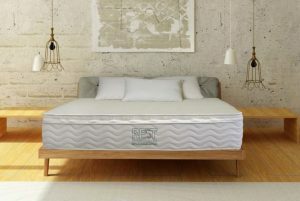 This 2 in 1 features a premium 14.5 gauge steel coil innerspring with alternating coil directions providing a strong stable feel that is both comfortable and supportive. 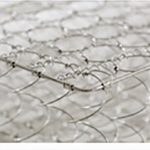 6 gauge border wire adds heavy duty edge support for long lasting durability. Twin: 360 Coils. Full: 528 Coils. 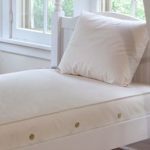 The 2 in 1 Organic Cotton Ultra features an allergy friendly design that does not use latex or wool and is dust mite / bed bug resistant on the top and sides. 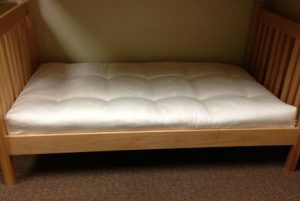 The design also allows fire standards to be met without the use of chemical fire retardants. 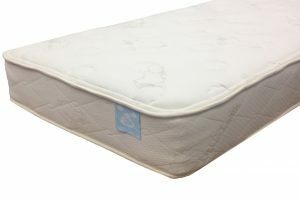 The 2 in 1 Organic Cotton Ultra mattress uses Naturepedic’s USDA certified organic cotton grown in the USA. 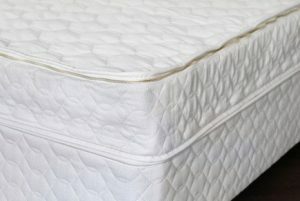 The cover has a PLA batting quilted to the organic cotton fabric. 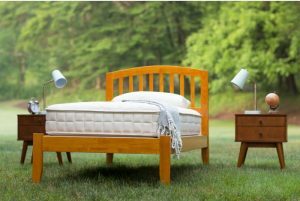 PLA is a non GMO plant based fabric derived from potatoes (see more on PLA). 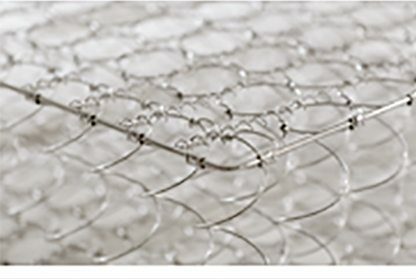 PLA adds resiliency and moisture wicking capabilities. 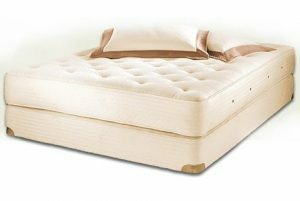 The top and sides of the mattress are covered with polyethylene that meets food contact standards. 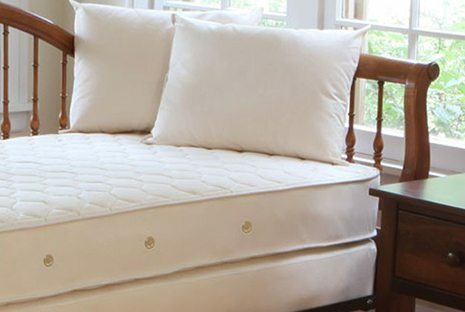 Naturepedic Verse Organic Mattress $899.00 – $1,898.00 This kid's innerspring mattress is available with an organic cotton quilted finish on one or both sides. Available in twin to queen sizes. 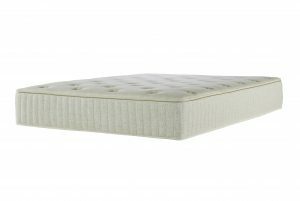 Naturepedic Quilted Organic Cotton Deluxe Mattress $649.00 – $2,198.00 This kid's innerspring mattress is available with an organic cotton quilted finish on one or both sides. Available in twin to queen sizes. 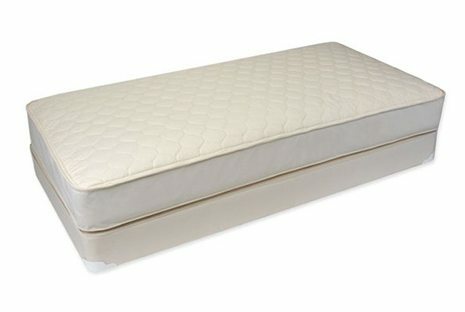 Suite Sleep Little Pocket Spring Mattress $1,099.00 – $2,099.00 An economical pocket spring mattress made for children.